Deploy Bold360's elegantly designed in-app chat with minimal code, and fully customize and implement chat using the mobile SDK.Bomgar allows employees and vendors to access systems and support people easily, while protecting credentials and endpoints from threats. Increase access speed and agility, while enforcing least privilege best practices, to simultaneously drive business performance and security. Who says powerful software has to be hard? Here at IDERA, we think Data and IT pros can have it all.At Citrix, we focus on a single driving principle: making the world’s apps and data secure and easy to access. Anywhere. At any time. And on any device or network.Informatica’s risk-centric approach to protecting big data automatically classifies sensitive data and proactively detects threats of unauthorized data access or proliferation. 7th Pay Commission HRA Calculator as per Cabinet DecisionCabinet approval on 7th CPC House Rent Allowance (28.6.2017) : HRA is currently paid @ 30% for X (population of 50 lakh & above), 20% for Y (5 to 50 lakh) and 10% for Z (below 5 lakh) category of cities. 7th CPC has recommended reduction in the existing rates to 24% for X, 16% for Y and 8% for Z category of cities. 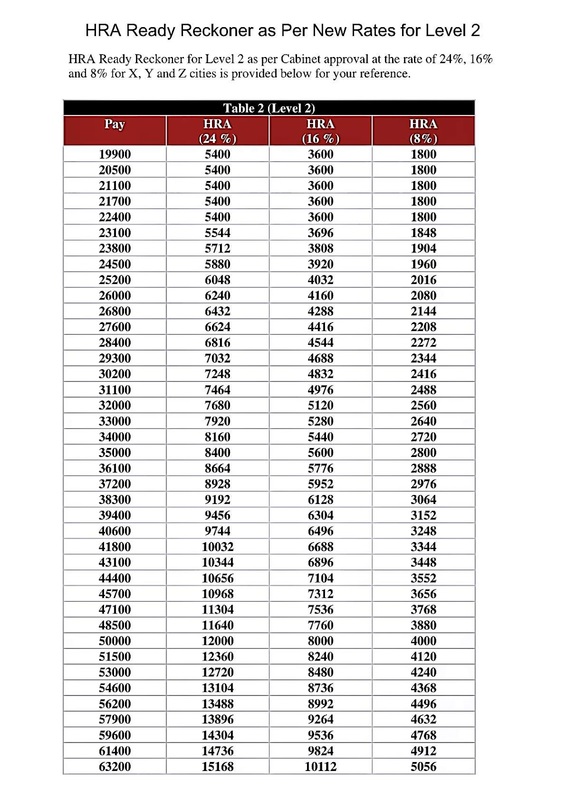 As the HRA at the reduced rates may not be sufficient for employees falling in lower pay bracket, it has been decided that HRA shall not be less than ₹5400, ₹3600 and ₹1800 for X, Y and Z category of cities respectively. This floor rate has been calculated @ 30%, 20% and 10% of the minimum pay of ₹18000. This will benefit more than 7.5 lakh employees belonging to Levels 1 to 3.7th CPC had also recommended that HRA rates will be revised upwards in two phases to 27%, 18% and 9% when DA crosses 50% and to 30%, 20% and 10% when DA crosses 100%. Keeping in view the current inflation trends, the Government has decided that these rates will be revised upwards when DA crosses 25% and 50% respectively. This will benefit all employees who do not reside in government accommodation and get HRA. CLICK HERE TO LEVEL-1 IMAGE. CLICK HERE TO LEVEL-2 IMAGE. CLICK HERE TO LEVEL-3 IMAGE. 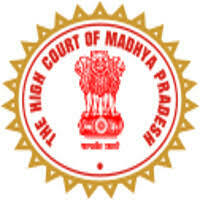 CLICK HERE TO LEVEL-4 IMAGE. CLICK HERE TO LEVEL-5 IMAGE. CLICK HERE TO LEVEL-6 IMAGE. CLICK HERE TO LEVEL-7 IMAGE. CLICK HERE TO LEVEL-8 IMAGE. RELIANCE JIO NA NUMBER MA FREE CALLER TUNE KEVI RITE SET KARSHO ? How to Activate JIO Caller Tune for Free, Set and Change Jio Hello Tune: You can change your Jio Caller Tune and you can also deactivate JIO caller tune. Free JIO Caller tune for 30 days and get JIO caller tune Song Lists. Activate free caller tune on Jio today. Reliance has been expanding their cellular services and Reliance Jio is no longer just a 4G service and now comes with an option to Activate Jio Caller Tune free of cost. Now on, you will never have to keep your callers waiting with the boring ringing sound. The caller tune service is completely free of charge and you can set, change or deactivate the tune any time you want. To start with activating the caller tune, you will need to send texts to the Reliance Jio caller tune toll free number – 56789. Now, you will have to follow up with the replies and reply accordingly to set your caller tune. Usually, it takes no longer than three text messages and within a minute, you will Activate Jio Caller Tune. PAY YOUR ELECTRICITY BILL VIA GUVNL (Gujarat Urja Viaks Nigam Ltd.) official Mobile App. you can get various type of mobile app related "GUVNL"
You have to install "GUVNL" Electricity Bill payment Application official app show this logo. Then Enter you " Consumer No." Then Enter your ATM card 16 Digit No. Now your payment successful msg come on screen. playlist, your progress will resume automatically when you reconnect to a mobile or Wi-Fi network. NEW DELHI: You want to call someone from your number and you also want to know that your number will not be revealed in front of you. If you hear this, you will feel like this can not happen. So today we are going to ask you for an app that will make it possible that you will call anyone but your number will not come, but any other number will come. In the meantime, you can talk to anyone without showing your number and you will not be able to make any callbacks. First of all, you have to install an app named Indycall from the Google Play Store on your smartphone. When this app is installed open it. Now a new page will open in front of you. Once the page opens, you will agree to the terms and conditions. Then you will need access to your phone’s contacts and you will have to give access to this app. This app will not work if you do not give access. Now you will see the keypad just like your keypad. Now you want to dial the number you want to call in this keypad. But keep in mind that before dialing the number, you will have to give the country code of +91 India. The number can be hidden after the code is entered. If you do not dial this code, you can not hide the number. The office of Superintending Engineer, Hydrological Observation Circle, Central Water Commission, Gandhinagar (Gujarat State) invites Online applications from the eligible candidates for Group 'C' Non-Gazetted post of Skilled Work Assistant (SWA) for filling up 57 Vacancies under Work Charged Establishment. Other details like age limit, educational qualification, selection process, application fee and how to apply are given below. Place of Posting: Present posting shall be in the jurisdiction of Narmada Tapi basin Organization, Central Water Commission, Gandhinagar i.e., Gujarat, Rajasthan, Madhya Pradesh, Maharashtra, Daman & Diu and Dadra and Nagar Haveli with the liability to serve anywhere in India. Educational Qualification: Matriculation or ITI or Equivalent from recognized Board/ University/ Institution. Age Limit: 18-30 Years as on 29th December 2017. The Upper Age Relaxation - 05 Years for SC / ST, 03 Years for OBC & Ex-Servicemen / PwD as per GOI guidelines from time to time. How to Apply: Eligible candidates may send their application & necessary documents to given address below. The postal cover superscribing “Application for the post of Skilled Work Assistant in CWC”. Address to sent Applications: Superintending Engineer, Hydrological Observation Circle, Central Water Commission, 2nd Floor, Narmada Tapi Bhawan, Sector-10 A, Gandhinagar, PIN–382010 by ordinary or registered or speed post. For Hindi Typist: Graduation Degree in any discipline from recognized university and 1-year post qualification experience of Hindi typing in govt. offices including central and state PSU or other offices and 30 w.p.m speed in Hindi Typing. For Junior Hindi Translator: Master Degree of a recognized university in any subject with Hindi and English as the main subject at Degree level and Diploma/Certificate of one-year duration from recognized university/institute in Translation from English to Hindi and vice-versa. EIL Selection Process: Selection will be based on Skill Test & Interview. 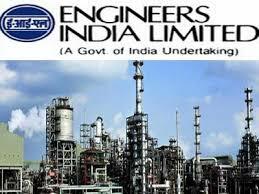 How to Apply EIL Vacancy: Interested candidates may apply Online through EIL website http://www.engineersindia.com from 29.11.2017 to 18.12.2017. Educational Qualification : Graduate Degree in any stream, with at least 55% marks. GNLU Selection Process : Selection will be based on Interview. In today’s generation everyone keeps their smartphones locked. So no one else can see the personal chat or pictures. But sometimes it happens that we forget the password and PIN code and patterns we set. If you have forgotten your smartphone too, then how do you unlock your smartphone now? In this post we will let you know about 3 tricks which will help you to easily unlock your smartphone. – Take the Android smartphone first, which is to unlock. – Then switch the phone to the next. – Wait for at least a minute now. – Now press the + volume button and power button simultaneously. – To clean the data, tap on the wipe cache partition. – Wait a second for 1 second and start Android device. – Look, your Android device has been unlocked. Enter your Gmail ID. Which you entered into your own Android device. Now click on the option of the lock. – Enter a new password and confirm once again your new password. – Leave the remaining boxes blank and click on the lock the second time. – Now reboot your Android smartphone. – Enter the new password now. Which was set up with your Android device manager. – This is not the way all Android devices work. – Take your smartphone and enter 5 times the wrong pattern. Now you will see a notification, which states that, after 30 seconds, try again. – Now there will be an option for the Forgotten password. – Put your Gmail ID and password in it, which you put in a locked device. Now you can set a new pattern lock. Candidates should possess 10+2, 02 years ITI Certificate/ 03 years Diploma in any discipline or its equivalent from a recognized University or Institution. Complete the BSNL Application Form with the essential data. You may have to go to jail if you do not show the amount deposited in banks in the income tax return. Income Tax Department has prepared a list of such people and companies. The investigation has started as an anonymous property. During the note-taking, many people had deposited a large amount in the bank account and later withdrew. But it did not show up in the income tax return. 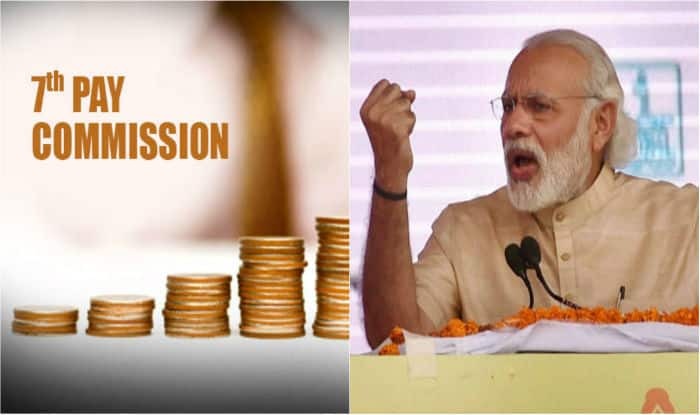 The income tax department has started the proceedings. The government has created 24 teams to investigate. It is to be mentioned that under the new law, the offender can get a seven-year sentence and a penalty up to 10 percent of the property holder. When the wrong information provider can be sentenced to 5 years. Facebook has launched its own video website, Facebook Creator, to hit YouTube. You can search on which you can upload your own videos. You can comment on the video and comment on it. With it you will be able to earn money. But the Facebook creator is currently registering on. Facebook says that this will be your earning tool. To register you will have to go to https://www.facebook.com/creators and then click on Join. You also need to log in to your Facebook account. Afterwards, the necessary information such as how to put videos, details such as part-time or full-time will be filled. You will then have to place a U-Tube URL like a video channel. After clicking on Let's do you will be registered. After registration, Facebook will provide full information on terms and conditions through e-mail. You can earn 4 ways through Facebook creator. Branded Content, Merchandise, Tours and Ad Brakes The most important of which is Ad Brakes. Because people earn by it. Ed ads are included on your video in Ad Breaks, but this process is still in beta mode and is anticipated to be launched shortly. Only 2 rupees in 24 hours internet, know where and how? War on the Internet is being promoted in companies for the Internet on mobile. DataPac is constantly getting cheaper since Geo's arrival. Now let's talk about the company giving cheap data to Geo. Bengaluru's startup Wifi compartment is giving cheaper data than Reliance Geo. This company is about one year old. The company believes that the internet is very costly in India today. The company says that even after the launch of Geo, the cost of data in India is high and there is now a chance of data cheaper. We want to make it cheaper. The company is offering data for only 2 rupees for 24 hours. 100 MB of data is provided at 2 rupees. This is the cheapest wifi plan. It is also a 10-rupee plan with 500 MB of data available and 1GB for Rs 20. Both of these packs also come with 24 hours of validity. If you talk about Geo, then you get 0.15 GB of data with unlimited voice calls at 19 rupees and this pack is also valid for one day. You can use this data in your smartphone. This data pack is available at local tea shops and bakeries in Bengaluru. Currently, the company is offering its services only in Bangalore. The WiFi canned token is also seen as a mobile-shaped coupon. This is to scratch and to insert the code. The company's page will open and enter the login ID and password there. After which you can login. Validity or data will be logged out upon completion. 50% cashback is being offered on diesel and petrol. The offer was paid by Pettm and Hindustan Petroleum Corporation Limited together. To avail this offer, you will have to buy fuel from HP (Hindustan Petroleum) petrol pump. After buying fuel, payment will be made with PETM. There is a special condition for that to be done by scanning the payment QR code. Only cashback will be available. Let us tell you that this offer is for the Bihar state. The benefits of this offer can only be taken on the petrol pump in Bihar. When you fuel a fuel pump with an HP petrol pump, you have to pay the entire payment. After that every 3 lucky winners get cashback on every HP petrol pump every week. To participate in this offer, the user has to buy at least Rs. 300 petrol. In the Lucky Draw, the nominated winner will be credited with a cashback of 150 rupees in the PATIm wallet. Apart from this, 5 percent cashback is also being given for getting diesel petrol from any petrol pump in Bihar. The advantage of this can take the user only twice. After purchasing petrol diesel, the user will receive a 5% cashback on payment from the ATM. The user has to make a transcript of at least 20 rupees. While Maxim Cashback will get 50 rupees. This offer will last till December 28, 2017. @Aagam Computech. Powered by Blogger.